The sprayer attachment slots into the roller tool carrier tray. The 12 volt power sprayer pump is powered from the tractor battery (a separate battery may be supplied as an optional extra). 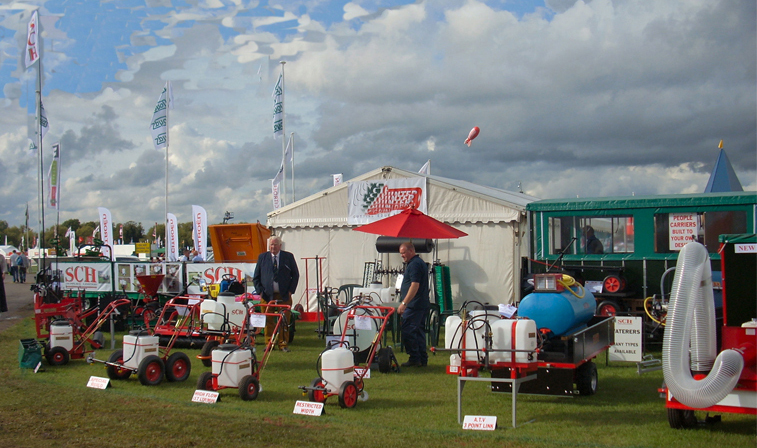 The sprayer is idea for applying fertiliser and/or weed killer to grassed areas. The liquid is carried in two 25 litre containers. It is supplied with a wedge nozzle giving a 915mm (36") coverage and a hollow cone nozzle for manual spraying. Manual spraying - The trigger lance is ideal for spraying insecticides on fruit trees, shrubs and roses, it can also be used for spraying herbicides onto nettles, docks, etc. 1220mm (48") three nozzle spray boom (Ref: NB48).